Founder of the Direction Technique Energy Healing. A holistic alternative healing method that gives you everyday strategies for peace, wellness and prosperity. During her live monthly show, Katrina uses her unique intuitive abilities to guide, heal, focus and help callers and listeners to find stability. Many call the show and find inner strength, direction and leave with everyday strategies to manifest peace, harmony and balance. 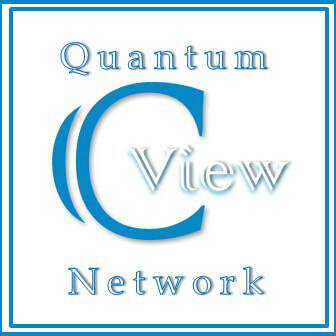 ​​MEDICAL INTUITIVE ENERGY HEALING - helping people with medical, psychological and emotional problems. * by filling this form you agree to be part of Katrina's live Internet Radio Show which is heard globally, available live and on-demand. You also agree to Charlotte View Disclaimer. Katrina Jean Taylor is the founder of the Direction Technique™ and is an internationally renowned teacher, speaker and healer. She is a leading medical intuitive who is at the forefront of energy healing for the world with her breakthrough healing method, Direction Technique™. She has the ability to see intuitively into the body and find the origins of a problem, ranging from a medical illness to one that is emotional, mental, or physical. Her work focuses on supporting the intuitive guidance and the body’s self-healing capacity to be healed. Katrina is also an ancient traditional healer, dolphin whisperer, shaman, seer, life coach, business advisor, consultant, clairvoyant and angel healer. Her passion is helping people alleviate pain, as well as helping with the passing over process, and with messages from those who have passed. 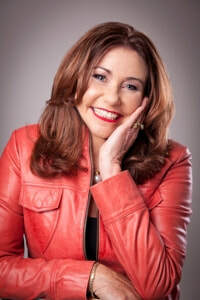 She holds a Bachelor of Education in English as a Second Language, a Bachelor of Education in Statistics, a Diploma in Teaching, Diploma in Teacher Librarianship and is now an author of stories of inspiration and hope which you will find in her new book, Focus for Direction-How to Self Heal and Find Your Own Answers. She writes and implements workshops internationally for people to learn the Direction Technique™. Direction TechniqueTM is a healing technique that involves using your own intuitive energy to self-heal. This breakthrough method of energy healing is effective, direct, and focused. This new Direction Technique uses intuitive energy to bring about changes in the body across six levels: cellular, physical, emotional, mental, behavioural, and spiritual. Katrina Jean Taylor is an international spiritual healer, speaker, clairvoyant and teacher who can teach you to use your own intuitive power. Her ability to work with energy helps you identify and remove blocked energy in your life so you can move forward with stability. If you use energy wisely, then you attract positive energy into your life. During and after your healing, you are fully aware of how the healings have helped your body, mind and soul. Mental clutter is replaced with clarity and direction. You will receive personalized channeled messages, which will be effective and focused strategies to help you feel peace, find resolutions and happiness.